Constructed: 2600 – 2500 B.C. 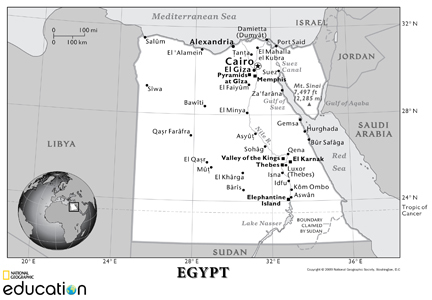 Where are Giza Pyramids located? Pyramids of Giza are located in the Giza, the third largest city in Egypt. It is located on the west bank of the Nile, about 12 miles southwest of central Cairo. Giza is most famous for the location of the Giza Plateau which is the site of some of the most amazing ancient monuments in the world, including the Great Sphinx, the Great Pyramid of Giza, and a number of other large pyramids and temples. How to get to Pyramids at Giza? 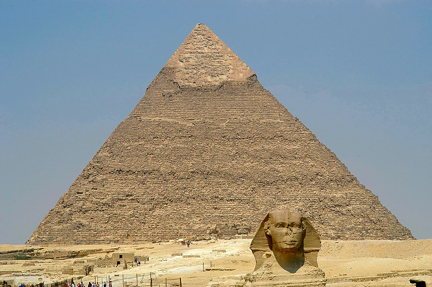 Giza is best known for that part of Cairo closest to the world famous Pyramids of Giza. It is situated high on the desert plateau directly to the west of Cairo. The major international airport is the Cairo International Airport, the busiest airport in Egypt. The airport is located in Heliopolis about 13 miles northeast of central Cairo and 24 miles from the Giza Pyramids. Other transportation options to visit Pyramids include Metro, Buses, or taxis. Stay in the heart of Cairo, with views of the Great Pyramids to enchant you and ancient zoological and botanical gardens just outside your door. At our luxury Cairo hotel, enjoy authentic fine dining and opulent meeting spaces. In nearby Giza, take in the best of the city's arts, culture and shopping. Situated in Cairo’s affluent Garden City district, Kempinski Nile Hotel offers luxurious rooms on the shores of the Nile River. Kempinski Nile Hotel, Cairo is located on the east bank of the Nile river in the historical quarter of Garden City. A pleasant walk away from the Egyptian Museum and the Cairo opera house. InterContinental Cairo Citystars is part of the Middle East's largest retail and entertainment complex, giving you direct access to 550 stores and an indoor theme park. The hotel is ideally located seven minutes from Cairo International Airport, 10 minutes from Cairo International Conference Centre and 30 minutes from downtown Cairo.Named Cairo s best business hotel by Business Traveller Magazine, it is also close to free time destinations such as the Egyptian Museum, Sakkara and the Giza Pyramids and Sphinx. The Conrad Cairo hotel offers a haven of contemporary luxury, in the heart of a bustling city. Located in Cairo's prestigious downtown area, overlooking the magnificent River Nile, guests can enjoy easy access to Cairo's many attractions including the outstanding Egyptian Pyramids, the Sphinx and the city's major commercial and business districts. 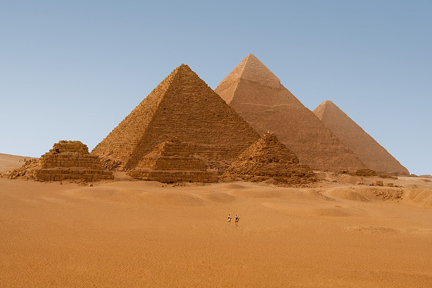 Have you already visited Giza Pyramids or plan on visiting? Do you have an interesting Giza Pyramids travel story? We would love to hear about your Giza Pyramids travel experiences, your reviews of hotels, restaurants, or tours, your top travel tips and any recommendations...anything about the Giza Pyramids travel that you can share with us.